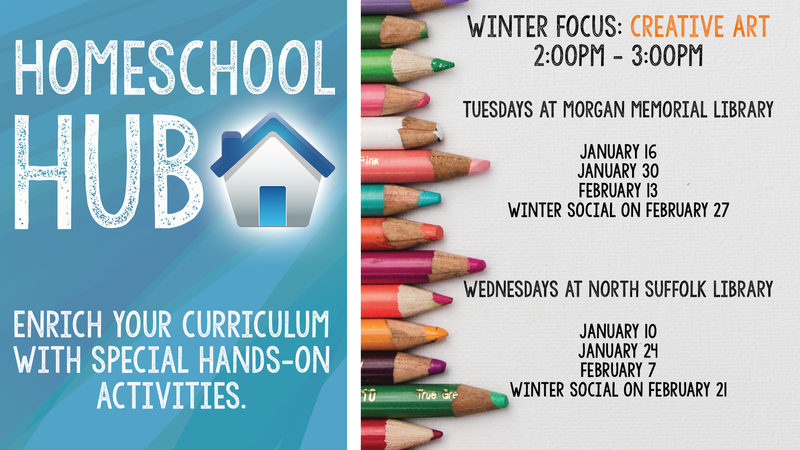 Homeschooling Families: Come out to the library for a special hands-on event. We will have various activities to help enrich your curriculum. This session's focus will be Creative Art. Participants will work on several pieces of creative art and have an opportunity to display them at our Winter Social.